The electrical current is 220V/50 Hz AC with standard, continental two-pin plugs and earthed three-pin plugs. 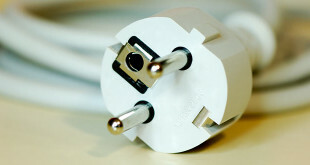 A two-pin plug will fit into a three-pin socket. Visitors should bring their own adaptors or they can be purchased at the airport.